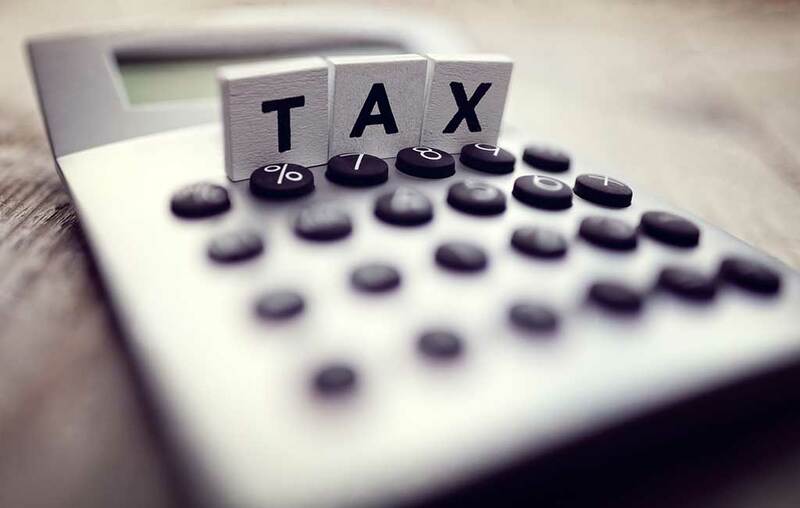 The IPPR propose combining income tax and national insurance contributions (NICs) into a single tax, applicable to all income, including investment income. They would replace the current system of incremental tax bands with a gradually rising rate applied to all taxable income, capped at a maximum 50% marginal rate above £100,000. 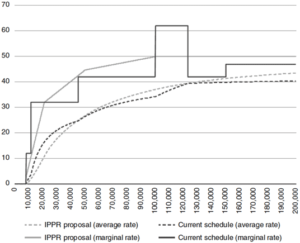 Their proposal would smooth out inconsistent marginal rates, as the graph shows. The IPPR supports the recent proposals from the Resolution Foundation to abolish IHT. The IPPR would replace IHT with a lifetime gifts tax, payable by the recipient of a gift or legacy (other than a spouse or civil partner) – currently IHT is usually paid by the estate. Income tax rates would apply once a lifetime receipts allowance of £125,000 has been reached. According to the IPPR, this tax structure would raise much more than IHT, as it would largely remove the benefit of making gifts during lifetime. 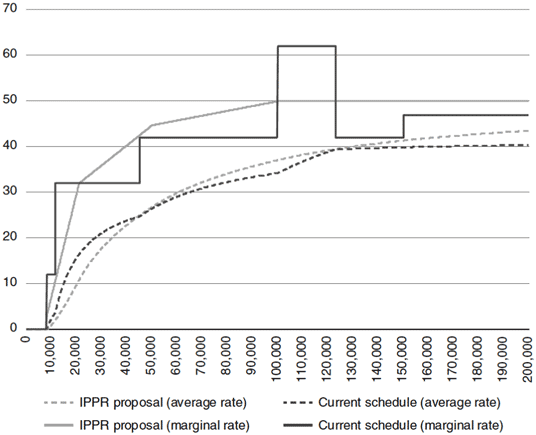 The IPPR propose abolishing “most exemptions”, other than for the main residence. Capital gains would instead be taxed at income tax rates, implying a maximum marginal rate of 50% under their proposed income tax structure. 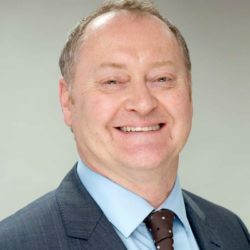 Taxing capital gains as income is not a new idea – it was a practice previously introduced in the late 1980s, by the Conservative Chancellor, Nigel Lawson. Instead of cutting the corporation tax rate from 19% to 17% in 2020, the IPPR proposes increasing the rate to 24%, with business reliefs and allowances ‘simplified’ (i.e. cut back) to broaden the tax base. To tackle multinational tax avoidance (a practice associated with the FAANS companies, Facebook, Apple, Amazon, Netflix and Google), the IPPR proposes an alternative minimum corporation tax, pro-rating global profits to the proportion of global turnover in the UK. If you would like to discuss any areas of tax planning with us please call on 01273 774855 or email us by clicking here. PreviousPrevious post:Cash ISAs fall out of favour as inflation outstrips interest ratesNextNext post:The Budget 2018: an end to austerity? What did it mean for you?